Stephanie Leiser is a lecturer at the Ford School. Her general area of interest is in public finance, budgeting, and financial management, and she has particular expertise in state and local tax policy, tax incentives for business, and other issues related to the taxation of business. She was previously a lecturer at the Daniel J. Evans School of Public Policy and Governance at the University of Washington, where she also earned her Ph.D. in 2014. Stephanie has taught courses in public budgeting and financial management, tax policy, nonprofit financial management, and microeconomics. 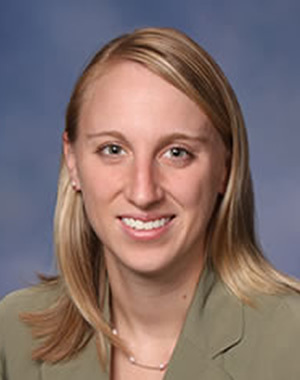 A Ford School alum (MPP '05), she has also worked as a tax policy analyst for the Michigan legislature and continues to consult with leaders in Lansing on tax policy issues.